I was watching the Great British Bake Off and the were making fortune cookies. In my weird and wonderful mind I did not think food I thought...Ooo, if I made a shrug and folded it like a fortune cookie it would be NO SEW and completely adaptable to make a custom size. The result is the fortune cookie shrug. Crocheted in the round the shrug is folded and sides joined to make a sleeve. 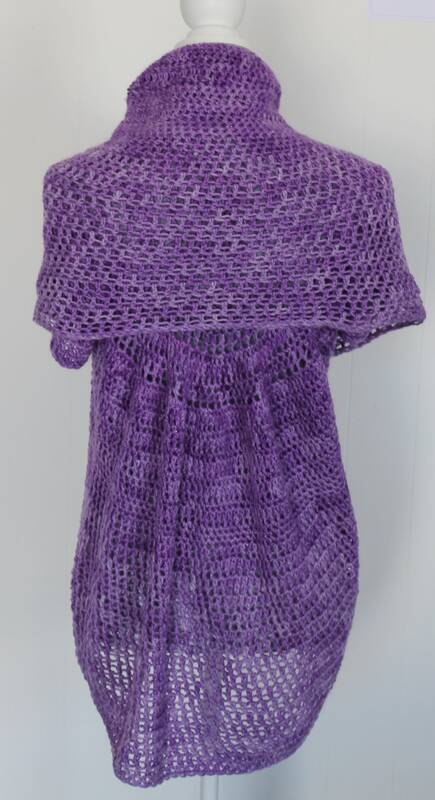 the crochet then makes a deep collar. Slip off the hook and wear. no sewing required. It has the option of a deep collar or if worn the other way up a deep, deep collar/hood. 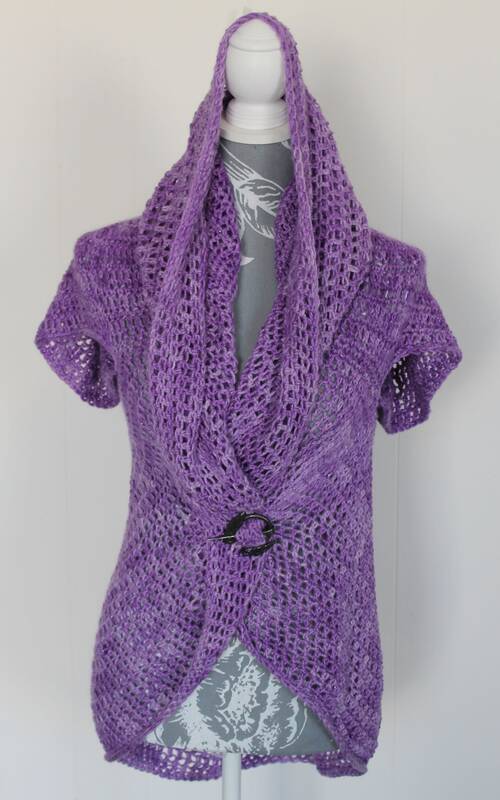 This listing is for a PDF pattern with UK crochet instructions.